Wheels: TrailReady beadlocks 17x8.5, 4" bs, 5x5.5"
Future Mods: The future is now! See my build thread for details. Stock and OME 2" lift. 4" Currie/Savvy lift and tummy tuck. High travel & high clearance. I have separated the build spec lists into each build phase below. 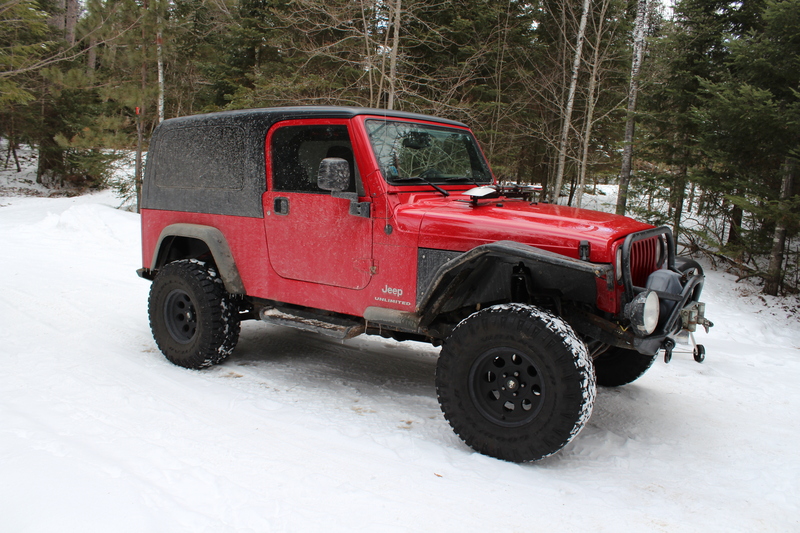 I purchased my 2004 Jeep Wrangler Unlimited (LJ) in 2010. 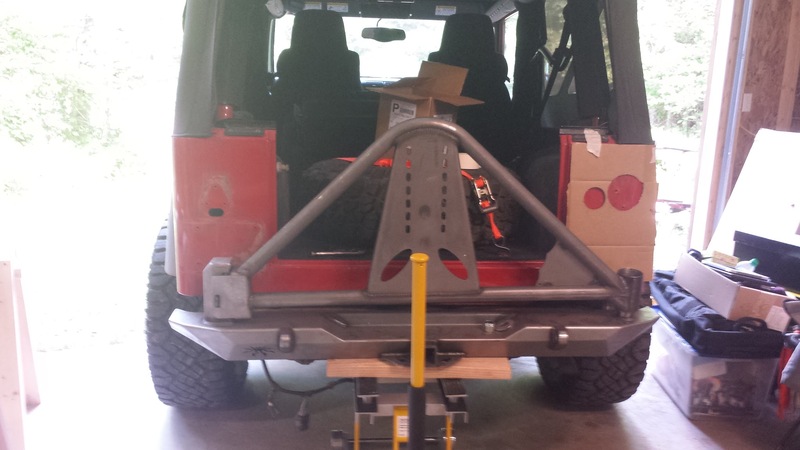 I quickly caught the Jeeping bug and decided on building a street legal low center of gravity build following in the footsteps of Rokmen. My 2" lift discussion thread. 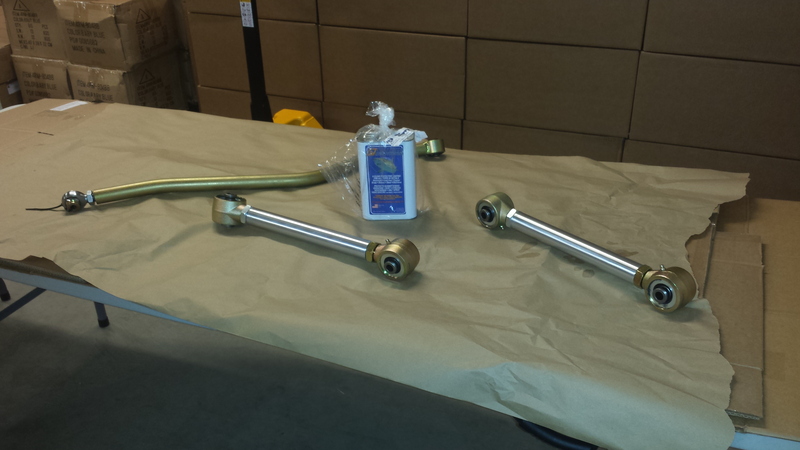 Same part as Bilstein, however Bilstein branded was on back order. Barnett Dana 44 and Dana 30 diff covers. Surface rust after about 6 months. 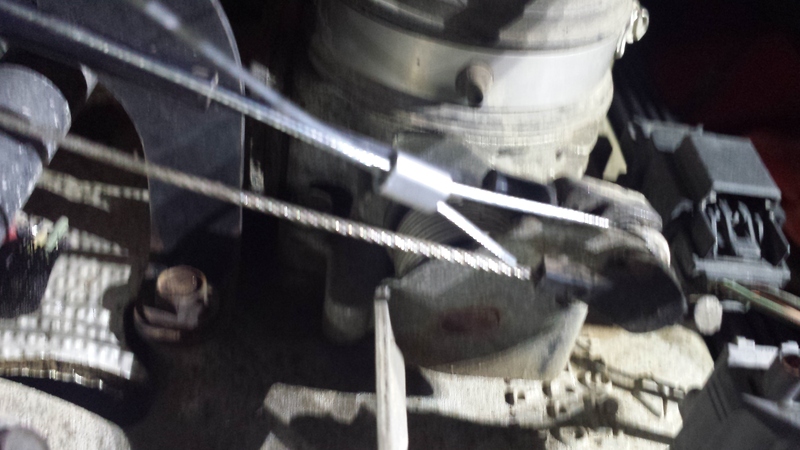 YJ brake lines (to extend the stock lines by 2" to account for the lift). 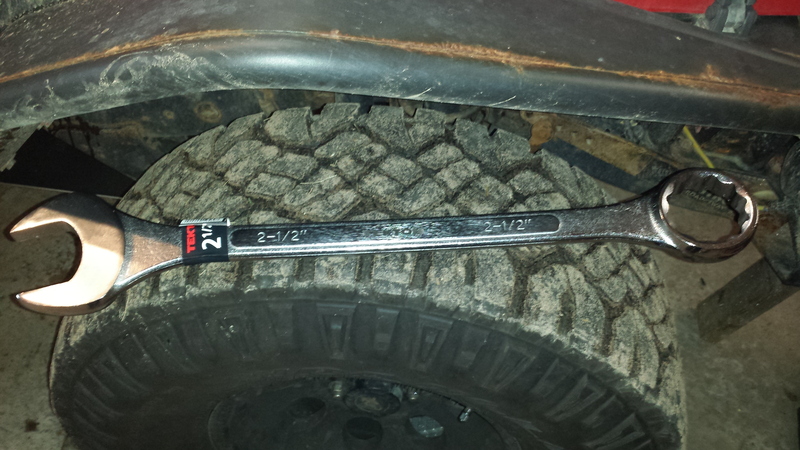 ZJ tie rod and ends | Instructions at Stu-offroad. Installed flush mounted Trucklite LED taillights. Relocated trailering lights plug. The old plug was cracking so I used a new Hopkins multi-tow wiring kit for a Chevy Silverado and flush mounted it right into the rear body panel which turn out really nice. They didn't fit with my new headlights. Decided I didn't want them. 5+ years old and upgraded to LED. 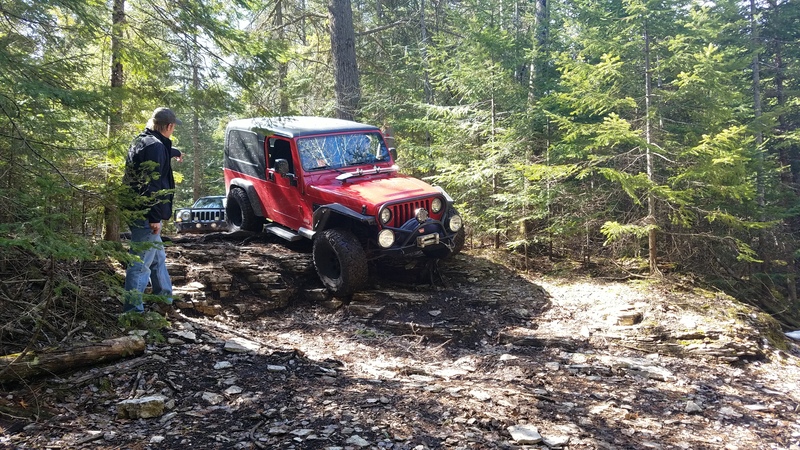 After learning here on the forums and by taking my Jeep wheeling for the last 7 years I learned better what I wanted. 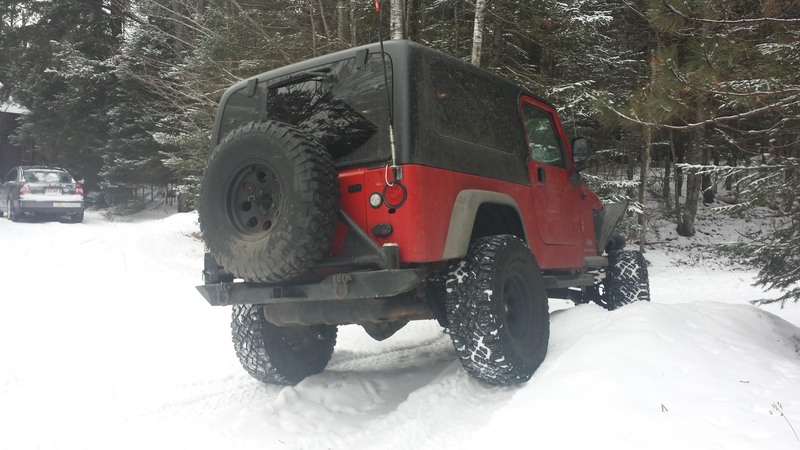 On top of that, my Jeep needed new balljoints, calipers, unit bearings, and I wanted to upgrade the shafts, so in 2017 I changed my build plans to go with 35" tires and built it as far as I could. Barnett Dana 44 diff covers. Front RCV 35 spline shafts, rear 35 spline Chromoly shafts. 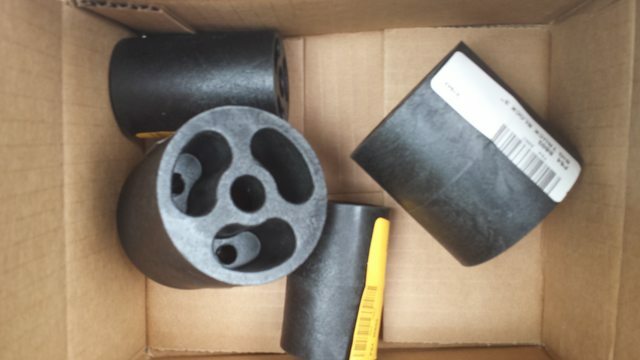 PSC Power Steering and Transmission Cooler | PSC-MBC100K | Write up | Can PS fluid be too cold? Clean frame and coat in POR-15 and Eastwood Internal Frame Coating (internal first), and topcoat. Add fluid film between frame and skids. 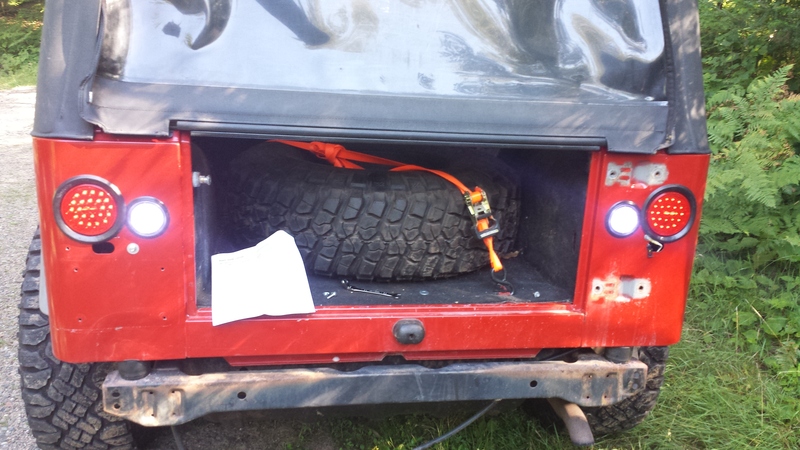 Upgraded rear bumper to have tabs so I found I didn't use this as much and moved it to my ATV. Radiator replaced, ~30k miles 2010. Sub woofer replaced, late 2015. Rear diff fluid. ~78k miles, fall 2016. Oil change ~79k miles, late 2016. Transmission flush ~79k miles, late 2016. Front diff fluid. ~80k miles, early 2017. Full brake fluid bleed. ~80k miles, early 2017. 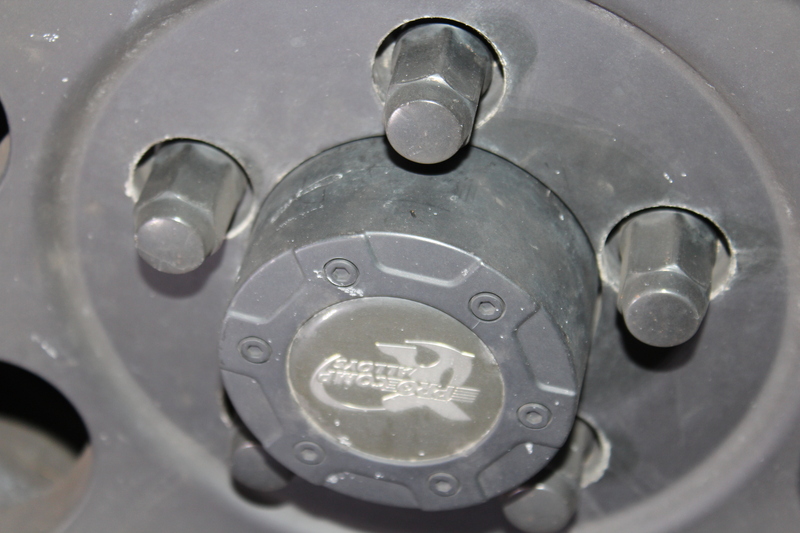 Remove broken bolts and bumper, insert and tighten new nuts on bolts to hold in place, tack nuts. 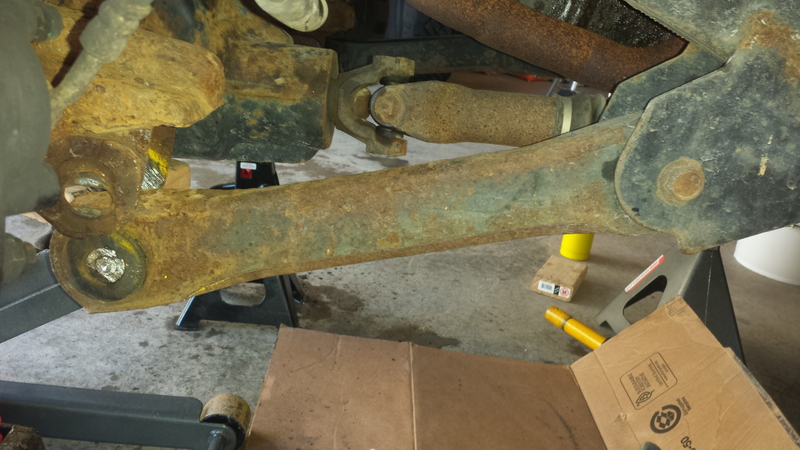 Replace rusty old bolts with new ones as preventative maintenance. 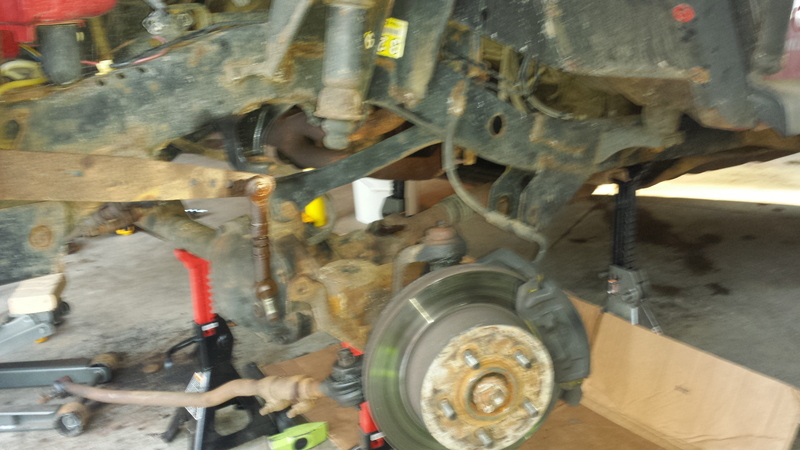 Parking brake won't hold | Backing plates had rusted away in 2012 | Replaced rear axle. 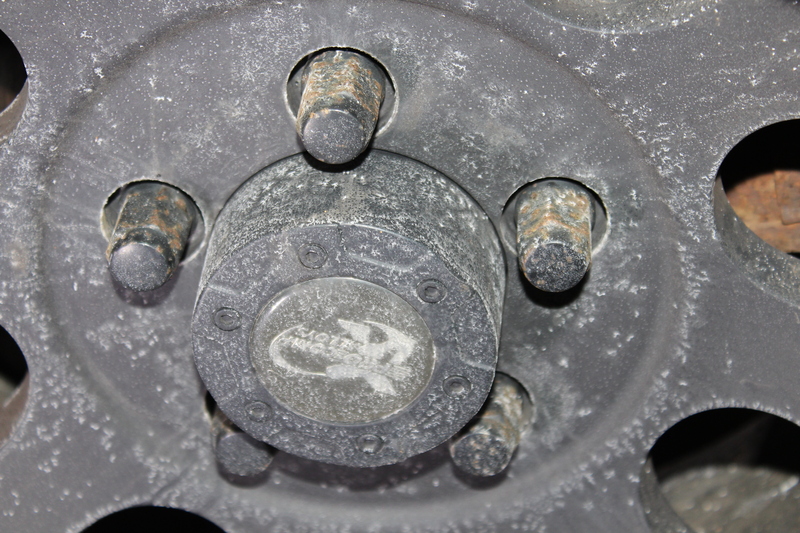 Stainless steel nuts from MetalCloak are actually steel. 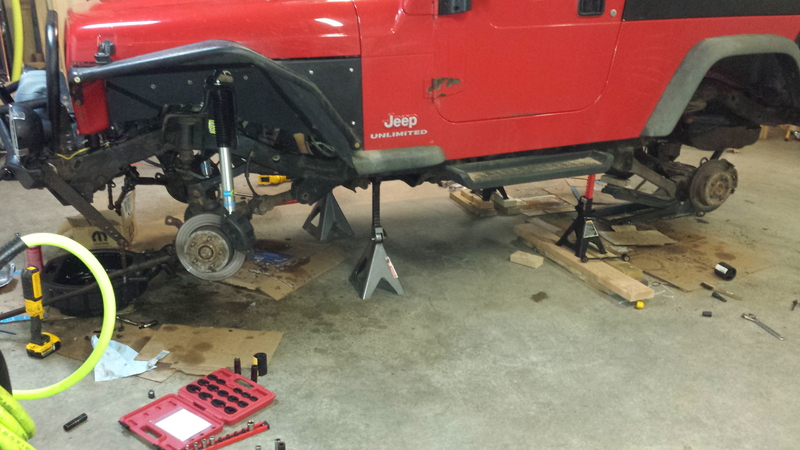 Building the right way for 37s. Last edited by toximus; 06-11-2014 at 05:35 PM. 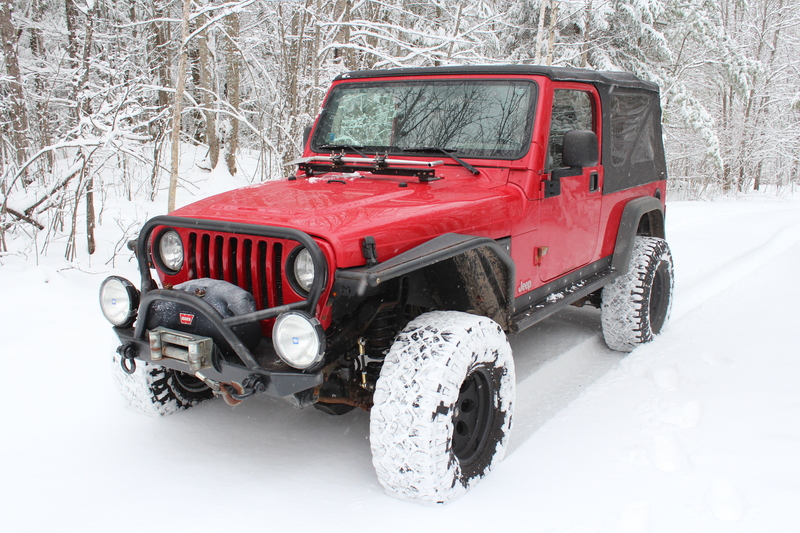 Well, I got my Jeep used in the Winter of 2010. Despite being 7 years old already, she didn't was in great shape and only had a few issues that didn't need attention right away. I immediately put together a list of upgrades I wanted to do, and put them together into batches that would easily be done together. Much of that is reflected in my current list. Now after 4 more years I've had time to figure out what my needs are and the weaknesses the LJ currently faced in my environment. The Winter season can last 8 months and where I wheel the snow can reach into many many feet. For daily driving alone, I've had to go through fresh snow above the bumper with drifts reaching above the hood. My old tires couldn't handle these conditions so I upgraded to Duratracs, and bought recovery gear to not only help myself but get everybody I came across unstuck too (current off trail recovery count stands at around 20 cars)! I've upgraded my bumper to one from Rokmen, and gone through a few antisway bar replacements as my stock links busted and my new bumper did not allow the JKS quick discos. One of my goals is to drive up to Alaska in the Fall and return as the snow starts to fly, for this I feel my Jeep is not ready. 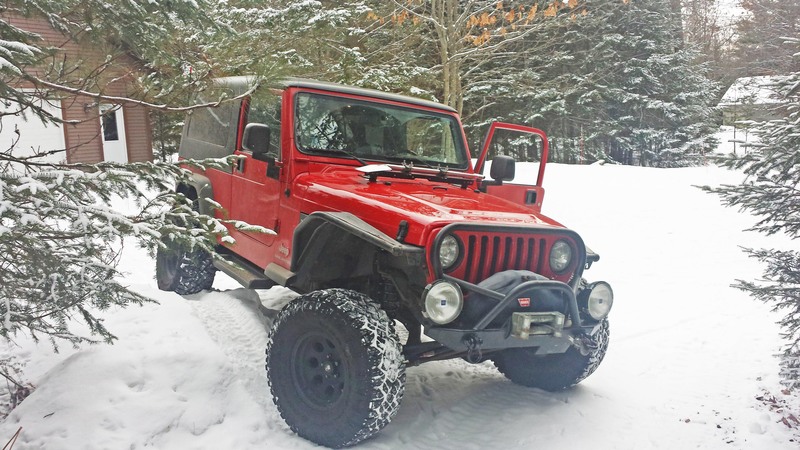 While many guys build their Jeeps for the rocks, I'm building mine for the snow and will be documenting it here along the way! Parts are slowly starting to trickle in for my lift! As more parts come in I'll be updating the album with more pictures of the parts. Wow! A lot has changed in my life and on my Jeep since right after I last posted in this build thread. All good stuff! I'm updating my build info and future plans in the OP and will try to catch you guys up over the next week on everything I've done with some pictures. I'd be interested in build list critiques after that! 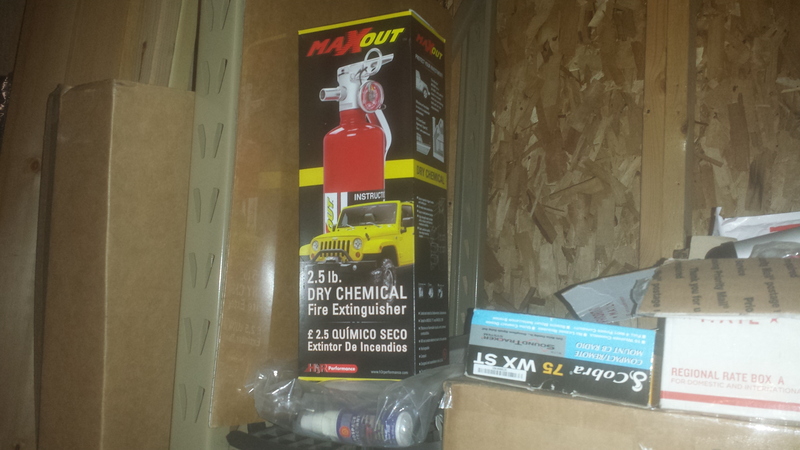 Shortly after my last build post in 2014 I bought a house with a large garage -- great for Jeep building! 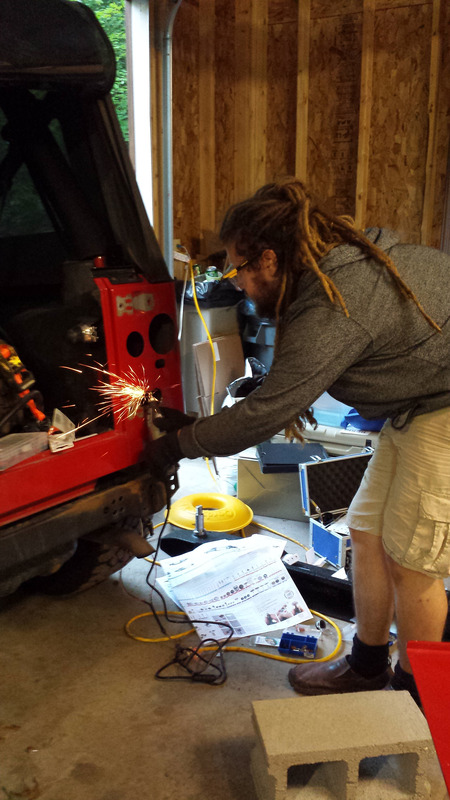 And that next spring I found a keeper who encourages me to work on my Jeep! The previous owner used the house as a summer vacation home so we've been busy this last summer making it a nice 4 season home (added a lot of plumbing, lights, storage room, extended roof vents to clear winter snow, etc...). There's still more to do (and always will be I'm sure) but I can finally slow down on the house project and devote more time to wheeling and wrenching. 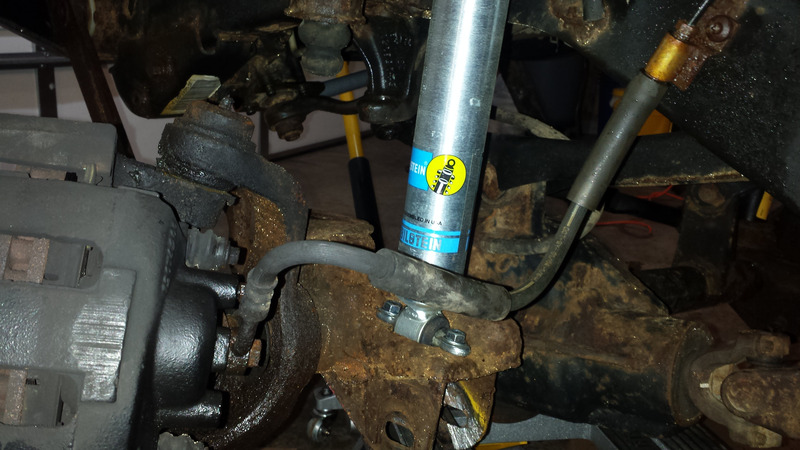 Fall 2014: Installed stronger ZJ tie rod and ends. Instructions at Stu-offroad. This turned out great. 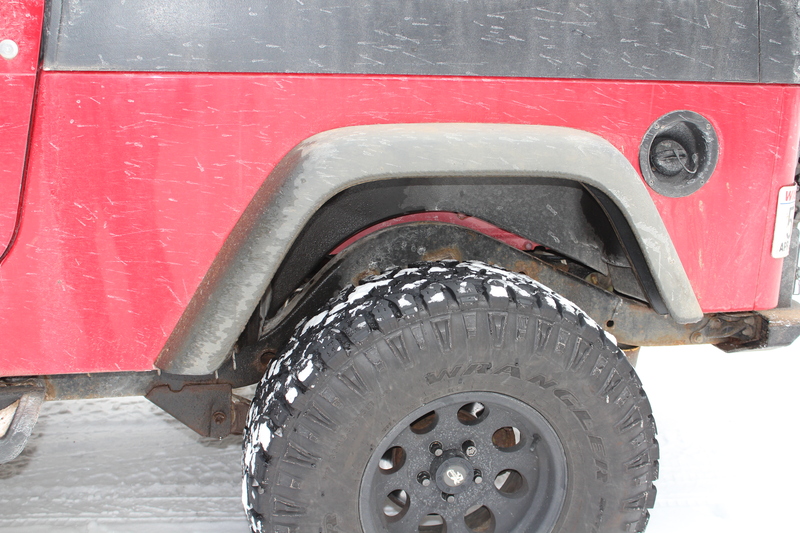 That next winter a friend and I were out winter wheeling and he bent his stock tie rod on a chunk of ice, made me thankful to have done this easy and cheap upgrade. October 2015: Pro Comp 15x8 3.75" BS Wheels (7069-5865) and stepped up to 33" Duratracs. Finally properly backspaced wheels and the 33s are nice in the rocks. 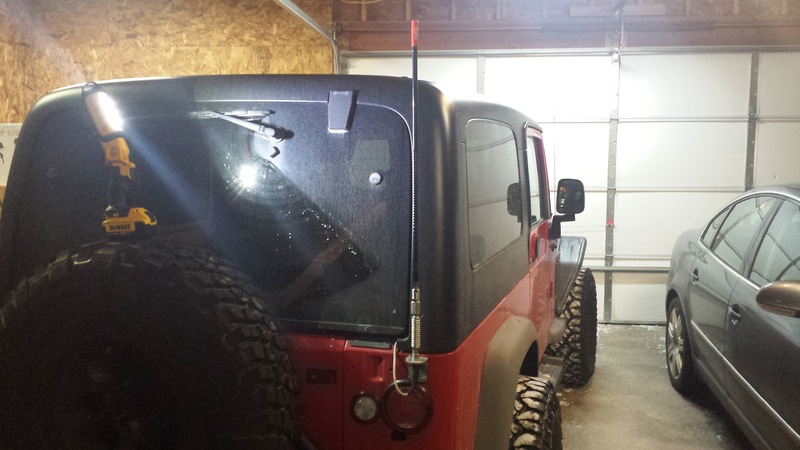 April 2016: Installed Cobra 75WXST CB radio and K40 attenna on Teraflex taillight mount. I did this install quick on a warm day right before going to Drummond Island. My stock tailgate finally stopped closing due to the weight of the 33" spare so time to upgrade! Installing the flush mount lights felt a bit strange putting big 4.5" holes into the back but using a cardboard template they turned out great and after that I feel like I don't really mind putting holes into my Jeep anymore. 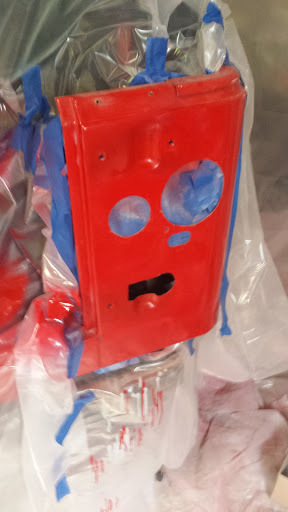 October 2016 - added a transmission pan drain and coated with POR-15. 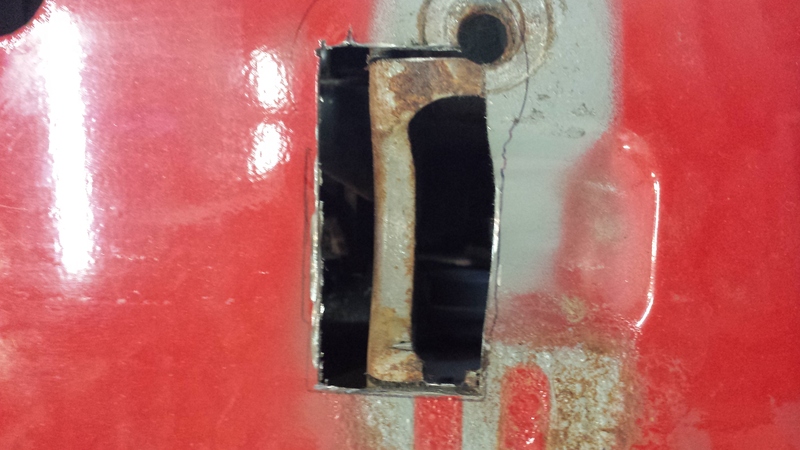 Used a Currie 95070 weld in bung and LubeLocker gasket. You can see the evap bracket back there, luckily on the LJ it doesn't need to be relocated but I did have to cut a large amount of the bracket out to fit the socket. "Sticks and stones may break my bones but hollow points expand on impact"
Sounds like your going to have a awesome platform when you finish. It always helps having an" encouraging Keeper " in your court ! black 05 Unlimited, White 06 Unlimited, Red 17 Unlimited. 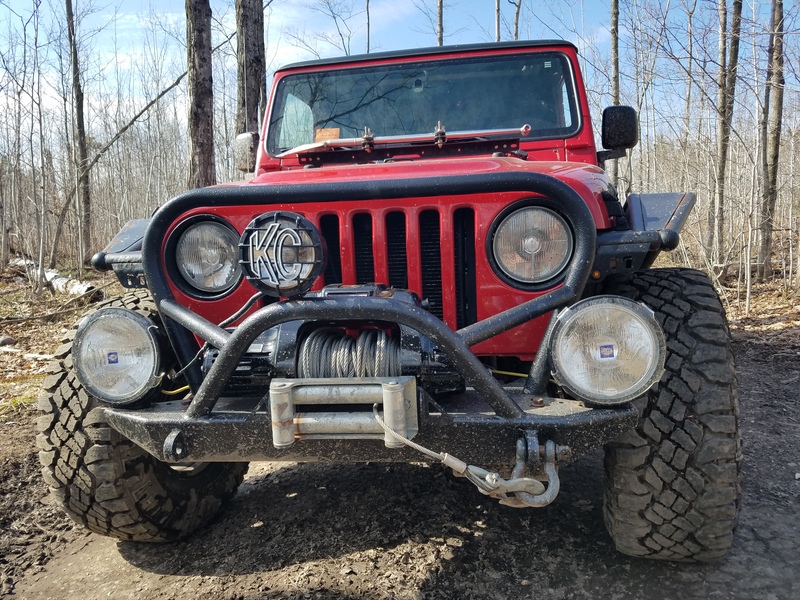 I still need to work out a mount for it on my dash, in the meantime it's still going to make winching so much easier not having to peddle it at the same time. After trying for the last year to get a K40 CB antenna that I got for free working with the rest of my setup, I caved and bought the right parts for the job and it now works nicely! I tuned the antenna in the dark on the side of a hill in the woods tonight and got an SWR reading of 1.5. Good enough for now! 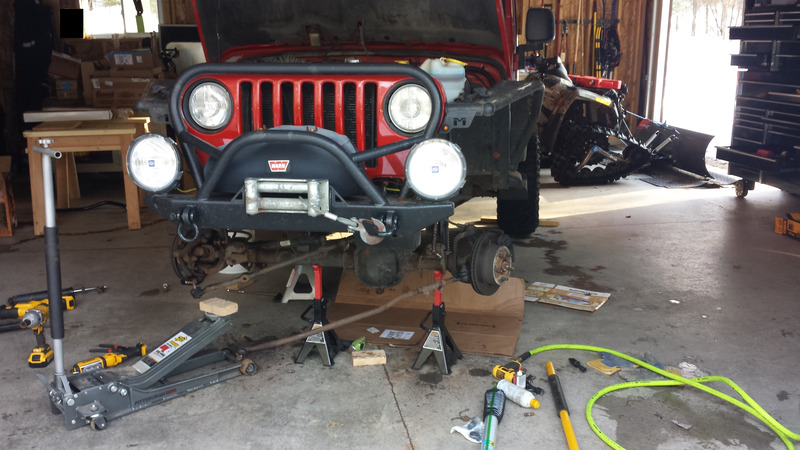 It's -2F in the garage today so beyond way too cold to work on the Jeep so I'm back to tinkering and getting parts lined up for this summer. Besides that, I prepped my wife's Passat for an italian tune up in an attempt to clear a CEL, and replaced some missing bolts on the ATV light bar that'd shaken loose. 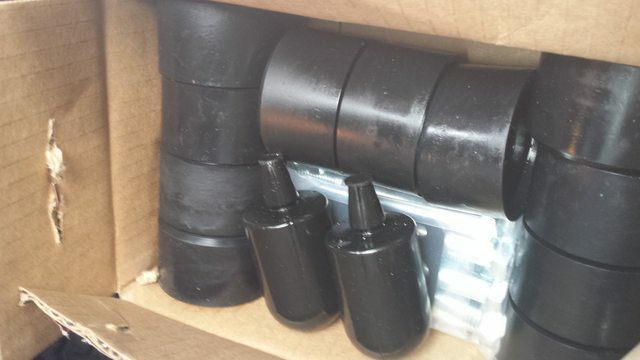 I was placing a larger order anyway so to take advantage of combined shipping I bought a few small parts I needed. I noticed my brake caliper boots were torn when I changed my pads back in October so I got new boots from Crown, breathers from OMIX-ADA, Dorman parts to fix my leaky CCV, and spare bolts for my diffs to replace a few that got chewed on the rocks. 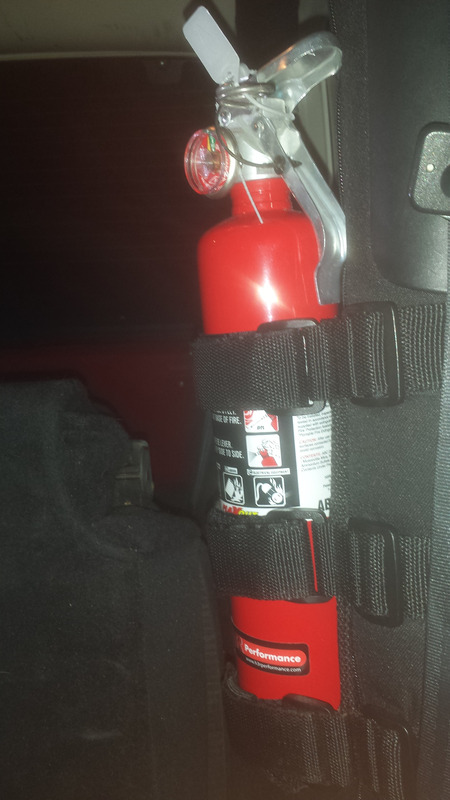 Something that I have been meaning to do practically since I bought the Jeep in late 2010 was to have a fire extinguisher on board. 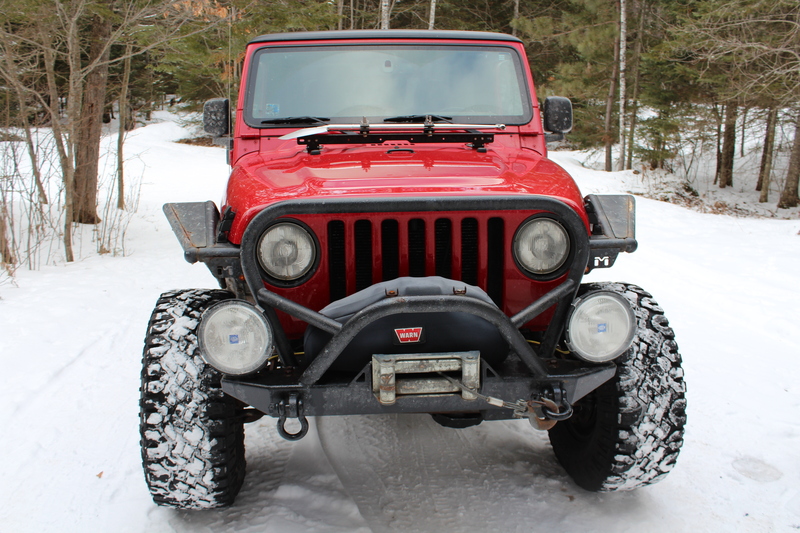 In fact I even bought the Rugged Ridge roll cage mount for it way back in January 2011. So here I am just over 6 years later finally completing this project. Here it is mounted in the Jeep! This is the H3R Performance MaxOut 2.5lb MX250R. The H3R comes with a decent mount so looking back I probably didn't need to get the mount from Rigged Ridge for it. But hey! I was new to Jeeps and back then it was a gateway drug. I debated with going with Halotron but I can't justify the price and I'm not sure where I can get that recharged locally. 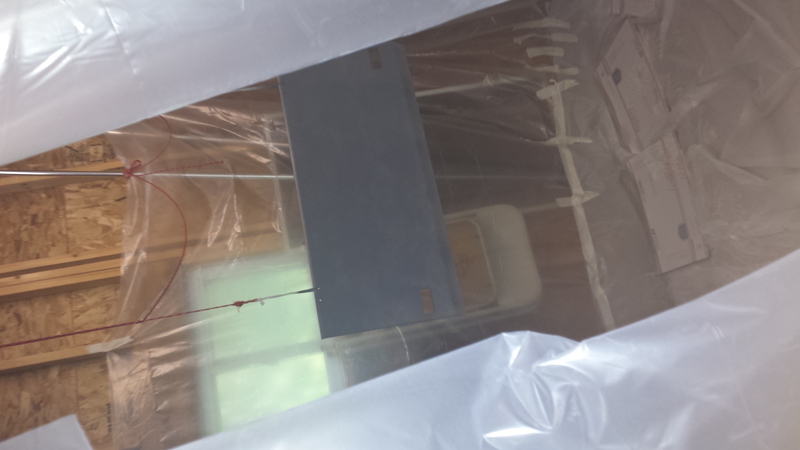 In the end I figured if I use it I'm cleaning up fire damage anyway, what's a little more clean up...? Hopefully I never answer that question for you. Well, that's all for today. I need to send back some junk rusty lug nuts so I'll try to get those swapped tomorrow before the snow hits and I need to plow. Just a quick peak at the new lug nuts before I start plowing. 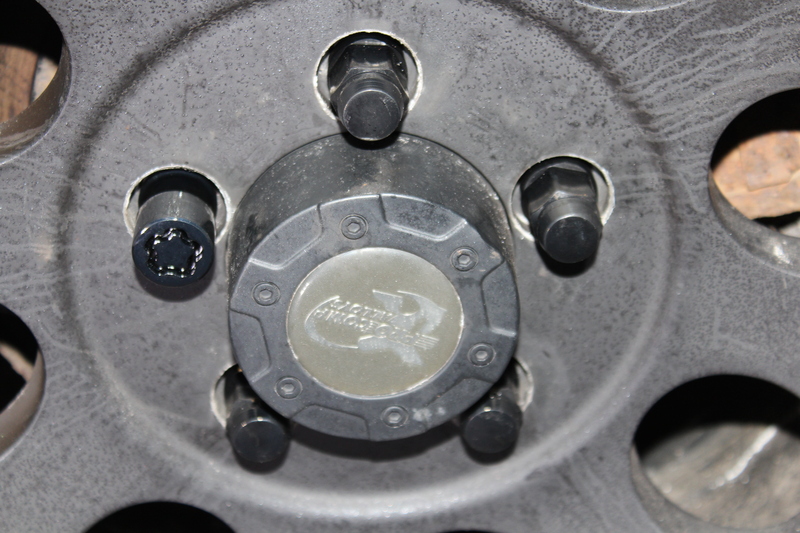 The DPAccessories lug nuts (Amazon) I put on roughly 6 months ago are starting to rust pretty good in the rears. They have maybe 4k miles on them tops and about 3 months of winter. I had bought them because my stock nuts had lost half their caps and I didn't want to carry an extra socket in case of a flat to match the smaller size once the caps fall off. I spent a little more to get them in black to match my rims so I was a bit disappointed to find they weren't holding up. Luckily they offered to do a full refund for me once I pay to ship them back. 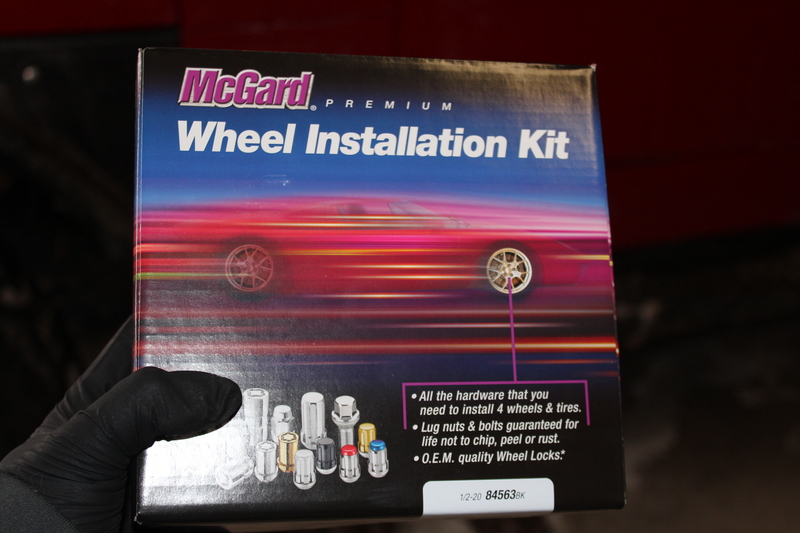 At first glance the black chrome from McGard seems to be a lot thicker than the coating on the DPAccessories nuts plus they include a lifetime warranty against rust. The McGard's are the way to go, I've had them for 10 plus years and they're still good. 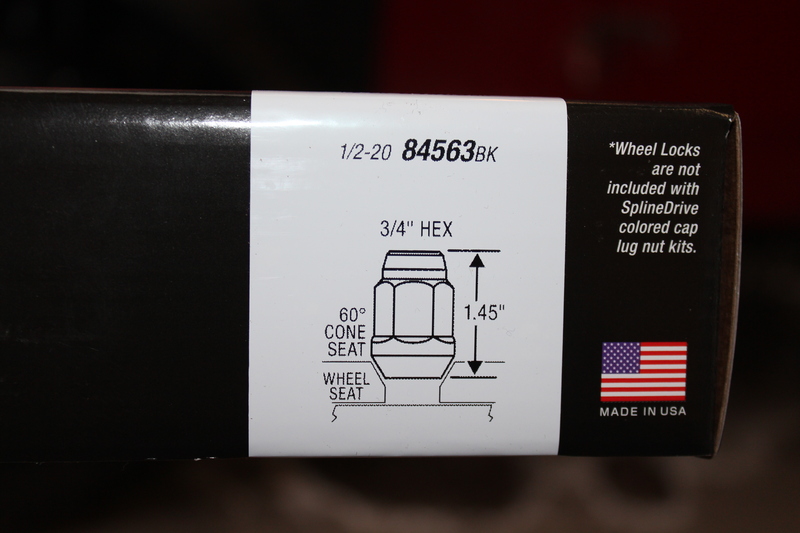 Funny they listed them as JK only, as most Jeeps are 1/2" fine thread. I noticed that I had to go up to 13/16" socket instead of 3/4" when switching to them, but that's not a big deal as long as you have the proper tools. Nice build, post up more pics, we love pics. That's good to hear yours are still in good shape. They must have changed the size slightly as they now are the stock size of 3/4" (19mm). It's nice that they include extras for the spare tire too if you want to lock it down (although I could care less about the locks where I'm at). 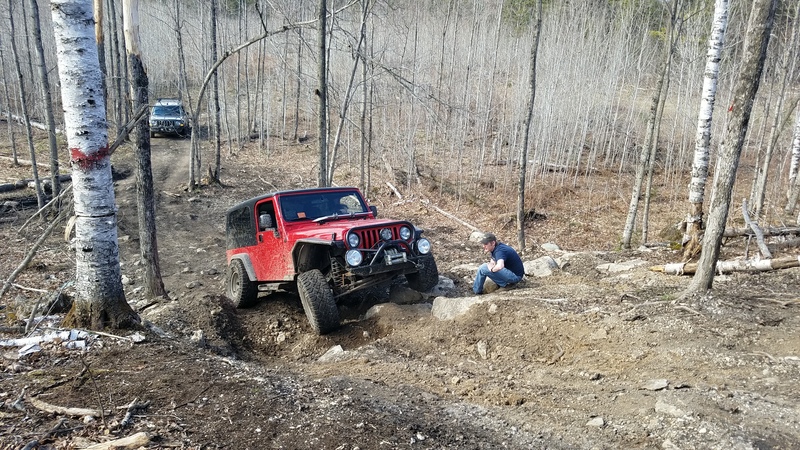 My main Jeeping buddy has been getting ready for his kid to be born (due now in about a week) so I haven't been snow wheeling as much as normal but I'll be sure to get you guys some pics the next time I'm out! 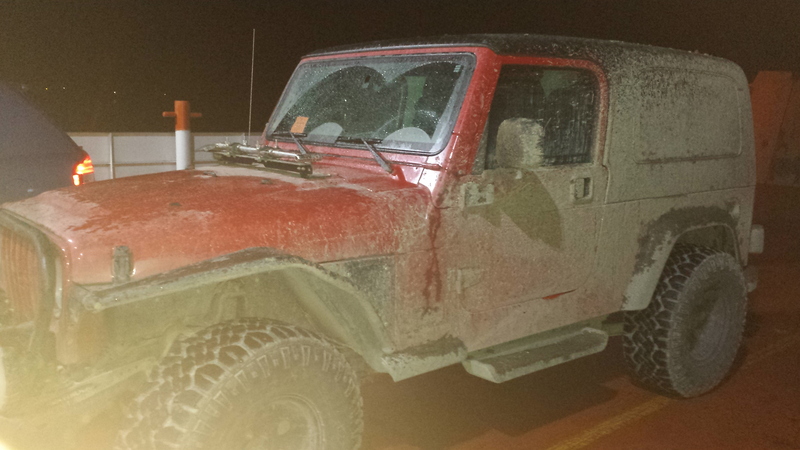 Right now my Jeep looks like a giant salt monster puked it out. I was planning on heating my garage and replacing some of the concrete for a 2 post lift last fall but I decided to add onto it first to make electrical easier in the long run and just put the lift in that side so I don't have to redo the concrete. That'll probably be summer 2018. 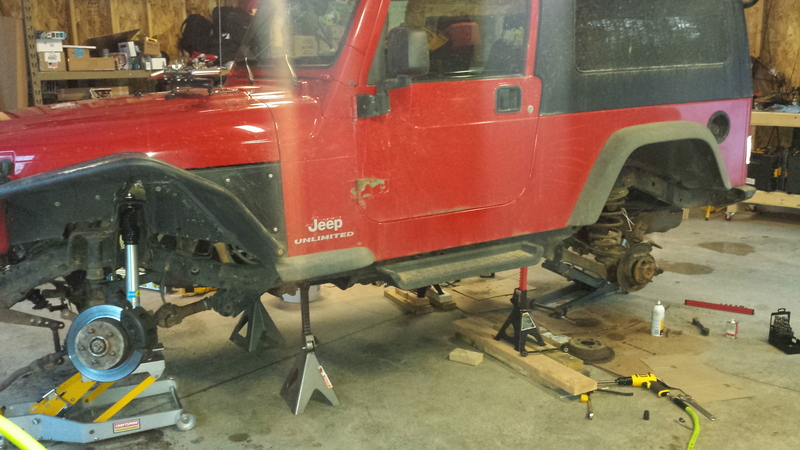 The weather got unusually warm last week and I started in on installing my lift in 50F weather on Friday. SO NICE! This threw me off course a bit as I had planned to go the budget route when I bought everything back in 2014 for the lift and was going to reuse with control arms and just use cam bolts. Being Friday night I knew I wasn't going to have parts in until at best mid the next week so I continued on and ordered a set of Savvy's aluminum control arms and Blaine's Johnny Joint washers. Many many rusted stuck bolts later I finally got nearly everything apart and what I could get installed after 20 hours of work by Sunday night. 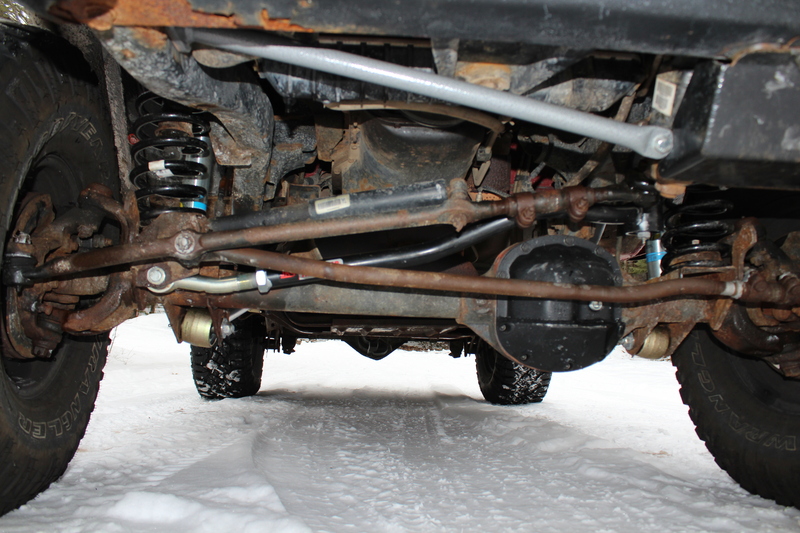 The rear shocks mount on the frame side were an absolute pain -- 3 of 4 heads just broke off the bolts. 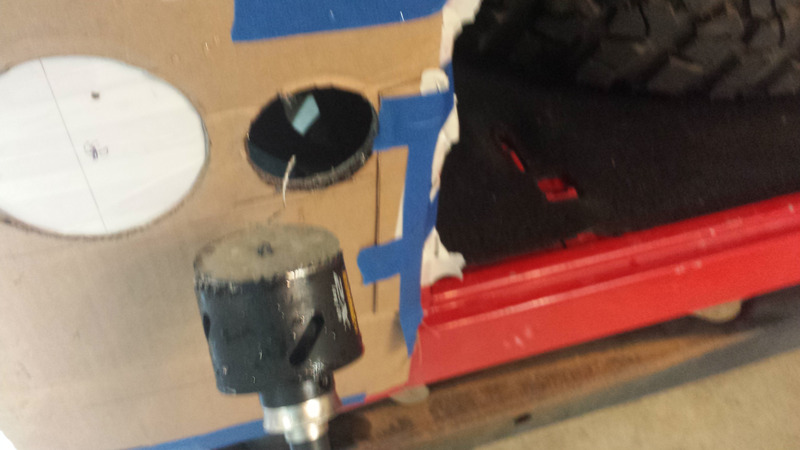 I plan to outboard the shocks eventually so I decided to drill and tap the existing locations for now and can do a proper fix this summer when I have the gas tank down while installing the skid. By Sunday night I realized I didn't have few drill bits I needed and my tap handle wouldn't fit into the shock area so I ordered what I needed. I also stopped in at Ace to buy new bolts to replace (nearly) all of the old ones. 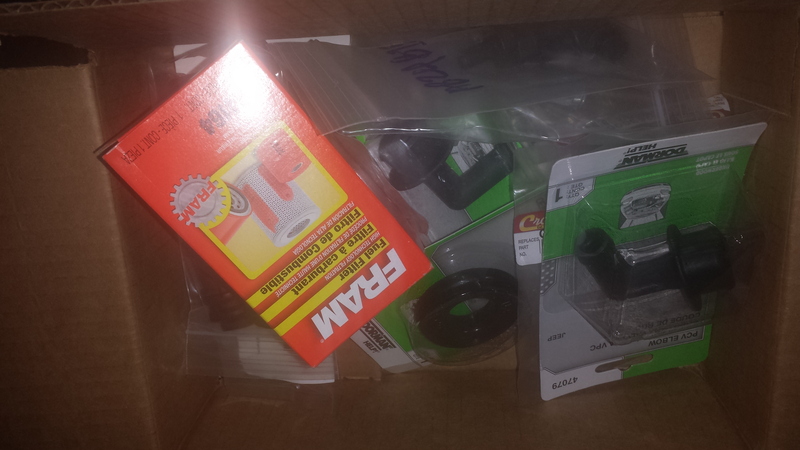 There was a few bolts I couldn't find locally and ordered bolts by the boxes to get the few I needed. I didn't measure before hand but it seems to be roughly 2" of lift as advertised. Rides great too! If anything a little firmer than stock.